We are pleased to announce that we are now formally preparing the RTC Extrication training program which we hope will be delivered at the end of 2018 or early 2019 in Udon Thani & Khon Kaen. 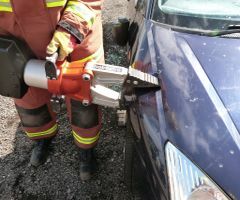 Working in association with our partners at Global Fire & Rescue, the training will focus on primarily ensuring that both volunteer & paid EMS crews have a safe working knowledge of HOW & WHEN to extricate an injured patient from a motor vehicle. This training will be reinforced with an introduction to ‘Trauma Care’ which will form part of an ongoing training package. Open to ALL Foundations in the Udon Thani and Khon Kaen provinces, we will welcome applications for this course in the later part of the year. It is anticipated that the course will be 3-4 days in duration and accommodation (in Udon Thani) will be available. You will learn the safe working practices to ensure the safety of you, your team and the patient using Holmatro rescue equipment. Cost: There is no direct cost for volunteers to attend this course. Certification: This course will be certified to the UK standard for Fire & Rescue services. We will be looking for volunteers in Khon Kaen & Udon Thani who would be interested in a three year development program, teaching them the latest rescue and extrication skills, including swift water rescue updates, technical rope rescue, confined spaces rescue and BA training. In addition to an intense series of clinical update skills designed to enhance existing knowledge we will also offer a certified advanced/emergency driving qualification, as well as team leadership training. This will lead to selection for the first Incident Support Teams to be established in Thailand. Modelled closely on the Hazardous Area Response Teams (HART) in the UK, we will be offering a unique incident response and support role across the North East of Thailand. This is an exciting opportunity to work alongside colleagues from other Foundations and together, deliver a first class support service to the people in your community. 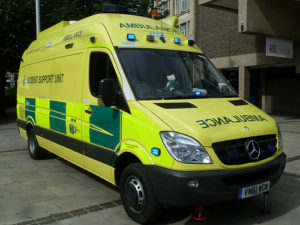 Working together in partnership to save lives! Dates and more details will be announced in April 2018. Additional training & assessments will take place during the course in order to determine any top-up or additional training required for Technical Rope Rescue. Tagged Collaboration, EMS & Rescue, global fire & rescue, HART Thailand, Partnership, RTC Extrication Training, Thailand Rescue. Bookmark the permalink.